Each of these sonnets is an exquisite gift in itself. From Anne Stevenson’s lonely house waiting for snow (and an absent lover) to May Sarton’s celebration of the quiet company of a Christmas tree, James Nash’s selection of poems invites us to reflect on the chilly beauty of winter and the lovely blaze of Christmas at its heart. 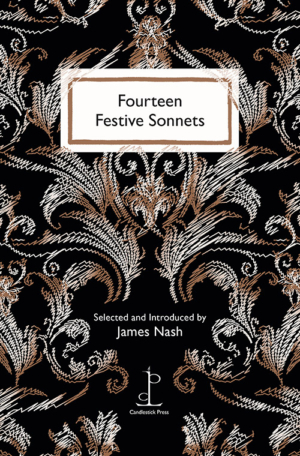 Poems selected by James Nash. Poems by John Clare, Joolz Denby, Erik Didriksen, Aileen Lucia Fisher, Kevin Holloway, Claude McKay, Alice Meynell, James Nash, May Sarton, William Shakespeare, Anne Stevenson, David Tait, Sara Teasdale and Judith Wright.